A farm near Little Wenlock in Shropshire has offered a £1,000 reward to catch the people who slaughtered 19 of its lambs earlier this week. West Mercia Police believe the thieves killed them for their meat and are warning that the meat is unfit to enter the food chain, because they had been recently treated with antibiotics and a treatment for parasites. The force is also worried the culprits could strike again. Tamara Pickstock, whose family own the farm, said: "It is heartbreaking that some of our lambs have been killed in this way." An 80k charity walk around south Shropshire this weekend will go ahead, despite the recent snow. Last year the Shropshire Way 80k had to be called off because of the snow brought by the Beast from the East, and organiser Grant Wilson said "when we saw the snow coming down yesterday morning we went into a little bit of a panic". But while he is expecting the conditions to be "soggy underfoot", he believes all the snow will have gone by the time the walkers and runners start at 09:00 tomorrow. The participants will start at the Shropshire Hills Discovery Centre in Craven Arms and are expected to complete the route within 24 hours, with food and drink stops prepared along the way. The event will raise money for the Discovery Centre. M54 Shropshire westbound severe disruption, at J6 for A5223 Lawley Drive. M54 Shropshire - M54 lane closed on exit slip road and slow traffic westbound at J6, A5223 (Telford West), because of a broken down vehicle. It will be a cloudy day with the possibility of some patchy rain later and highs of 12C (54F). It will be a cloudy night with some clear spells but also rain towards dawn - lows of 3C (37F). 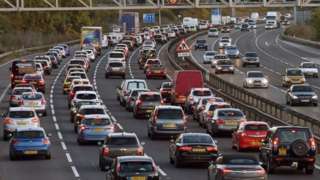 Ludlow and Wellington in Shropshire will benefit from the Department for Transport funding, along with Smethwick Rolfe Street and Worcester Shrub Hill. The money will be used to pay for new routes into the stations, lifts, handrails and high-grip treads on staircases. 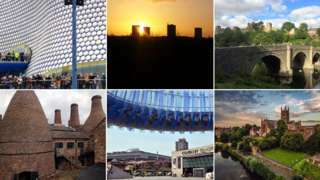 There are 73 stations around the country benefiting from the £300m funding. Two Tesco delivery lorries have been targeted by thieves who took cigarettes and tobacco. In the first incident, on Tuesday morning, the lorry's driver noticed someone trying to break into the back of the vehicle while it was parked in a lay-by near Whitchurch in Shropshire. He drove off, but the thieves drove their car past him, using it to block the road while they took a large amount of goods. The second theft took place on Tuesday afternoon while the vehicle was parked at the Tesco Express on Bridge Street in Kidderminster. Thieves broke a padlock to gain entry and West Mercia Police said it believed that on both occasions a Blue Audi A4 and a white Mercedes sprinter van were involved. 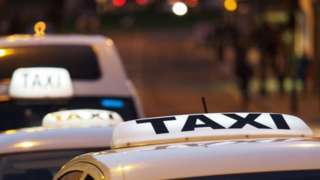 Drivers must learn the "behaviour expected of them" Telford and Wrekin council says. BBC Weather Watchers have been posting pictures of snow in parts of the West Midlands this morning. This was the scene in Clee Hill, Shropshire, earlier as captured by Skye. Postman Les took this shot in Bromyard, Herefordshire. And residents of Mainstone, Shropshire, woke up to this covering as photographed by Kevin Onion. How did my MP vote in the Brexit delay bill? Snow and ice are affecting driving conditions in Herefordshire and Shropshire. The A4103 Fromes Hill is closed in both directions in Five Bridges, Herefordshire, as well as the A4117 High Street in Clee Hill, Shropshire. It will be a cloudy day with showery rain this afternoon and highs of 7C (45F). A41 Shropshire both ways severe accident, near Stanton Road. A41 Shropshire - A41 in Tong partially blocked and slow traffic in both directions near the Stanton Road junction, because of an accident. A barn containing 70 tonnes of hay caught fire near Bridgnorth last night. Firefighters were called to a farm near Wooton at 23:11 and took half an hour to put it out, but had to work through the night raking it down to make sure it didn't reignite.